A nation’s top politicians have paid tributes to an “extraordinary” Scottish journalist who died after a short illness at the age of 63. Angus Macleod, pictured, who worked his way from The Scotsman to Scottish editor of The Times, was being treated for cancer in Gartnaval Hospital, Glasgow. 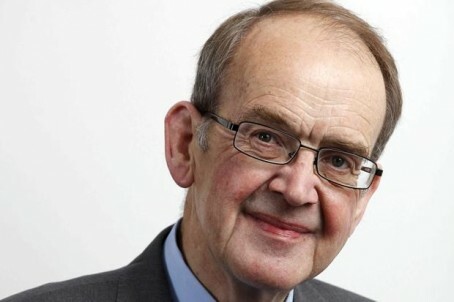 Scotland’s First Minister Alex Salmond said he was saddened to hear Angus had passed away, describing him as a “thoughtful and insightful journalist who will be missed right across the political divide”. Angus’s own newspaper, The Times, said the award-winning journalist was “one of the most acute observers of the Scottish and UK political scenes”. Times Education Supplement columnist Sean McPartlin blogged a personal tribute to his old Edinburgh University pal today. As a teacher, he said he was often asked by pupils whether they should consider a career as a journalist. He said that “thanks to people like Angus Macleod”, he was always confident in encouraging them to follow their dream and to keep believing that words, and journalism, can make a real difference. Sean added: “He was a credit to all he represented – as a writer, a journalist, and a kind man of principle and wisdom. Angus, from Plasterfield near Stornoway, was a former political editor at the Sunday Mail and regularly contributed to current affairs programmes on both STV and the BBC. He was only named editor of The Times in Scotland last April. Bernard Ponsonby, STV political editor, said: “Angus MacLeod was distinctly old school by the standards of the ‘modern’ journalist. “He carried himself in a way that suggested he came from a era of hot plate and old fashioned printing presses; an era when competition for exclusive lines was fierce. For future reference it’s Gartnavel Hospital. Think belly button instead of maritime manoeuvres. I knew Angus during his early career, when he was a reporter on The Scotsman. He was a fine journalist and splendid man, with great integrity and a genuine love for newspapers. I recall in particular his precise Hebridean diction and boundless enthusiasm for anything and everything. So sad that he has gone at such a tragically early age.